Did Painkiller Crackdown Cause Heroin Epidemic? WEDNESDAY, Jan. 13, 2016 (HealthDay News) -- Top U.S. drug researchers are challenging a leading theory about the nation's heroin epidemic, saying it's not a direct result of the crackdown on prescription painkillers such as OxyContin and Vicodin. The commentary, published in the Jan. 14 issue of the New England Journal of Medicine, is unlikely to resolve the debate, as other researchers disagree with the authors' conclusion. What they likely will agree on is that heroin's popularity is soaring -- with more than 914,000 reported users in the United States in 2014, an increase of 145 percent since 2007, according to background notes with the commentary. This has led to a spike in overdose deaths -- more than 10,500 in 2014. Some researchers and health officials point to recent limits on prescription painkillers as a likely cause of the heroin scourge. But the commentary authors said that the rise in heroin use began before states launched restrictions on narcotic painkillers to prevent abuse. "The prevention efforts don't seem to be pushing people to heroin. We think there are other factors," said commentary lead author Dr. Wilson Compton, deputy director of the U.S. National Institute on Drug Abuse. The common link is that heroin and narcotic painkillers (also called opioids) are in the same class of drugs and have similar effects, he said. "It's the initial exposure to opioids that's pushing them to heroin," added Compton, whose team reviewed a host of data on narcotic painkillers and heroin. In the past, abusers might have begun with heroin and then turned to the prescription narcotics, Compton said, but now the pattern is reversed. "It's a new pathway, going from pills to heroin," he said. "There's a reluctance to make that switch [to heroin], but once they begin down that pathway, they discover that heroin is readily available, quite pure and in many locations cheaper than prescription pills." Meanwhile, the profile of the typical U.S. heroin user is changing. Heroin is more popular among women and wealthier people than in the past, according to the U.S. Centers for Disease Control and Prevention. Indeed, some hotspots of the heroin epidemic -- towns in New England, for instance -- are mostly or entirely outside big cities, the findings show. Heroin use has grown along with nonmedical use -- and abuse -- of prescription painkillers such as OxyContin (oxycodone) and Vicodin (acetaminophen and hydrocodone). Death rates from prescription painkillers have skyrocketed since 2000, with nearly 19,000 deaths reported in 2014, according to the commentary. 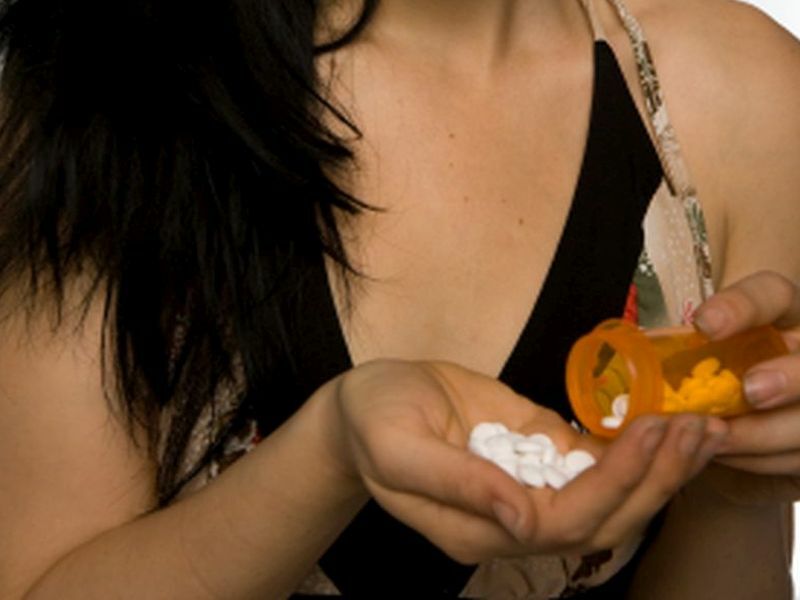 In an attempt to curb misuse, some states have restricted painkiller prescribing practices. Also, some pills have been reformulated, making it harder to achieve a "high." While the commentary concludes that the ensuing painkiller supply crunch has not on its own caused demand for heroin to surge, other experts disagree. Theodore Cicero, a drug researcher and professor of psychiatry at Washington University in St. Louis, said the "main shortcoming" in the commentary is that "it doesn't deal with the reality that some prescription drug abusers will switch to heroin if their drug of choice is not available." Limiting the supply "ignores how history tells us if there is a demand for a drug, that demand will be met," Cicero said. Kelly Dunn, a drug researcher and assistant professor with the department of psychiatry and behavioral sciences at Johns Hopkins University School of Medicine, said the commentary correctly says that a variety of factors are contributing to the heroin epidemic. One factor is the increased influx of heroin into the country, she said. Also, heroin is more pure than in the past, meaning it can be snorted like cocaine instead of only injected. As a result, a wider range of people are willing to try it, she added. Dunn said it's too early to know whether the crackdown on prescription painkillers is responsible for the heroin epidemic. Still, "there's widespread acknowledgement of this problem," she said. "It's reached a tipping point when everyone realizes this is an issue. There is this general understanding that if a drug is more available, it's more likely to be used." Dunn said what's needed is balance. "You have to make sure you find the balance between having painkillers for those who have pain and need them, and having them so widely available that they're abused," she explained. The commentary authors said both epidemics need to be addressed from a unified perspective and with comprehensive measures.